We departed Tibet today, flying to Chongqing to board our ship for the cruise down the Yangtze. It was the most western-looking city we have seen, with skyscrapers and lots of business districts, along with the ubiquitous high-rise condos. We were in Chongqing only briefly, so we had time for just one tourist activity: a quick visit to the zoo to see the pandas. 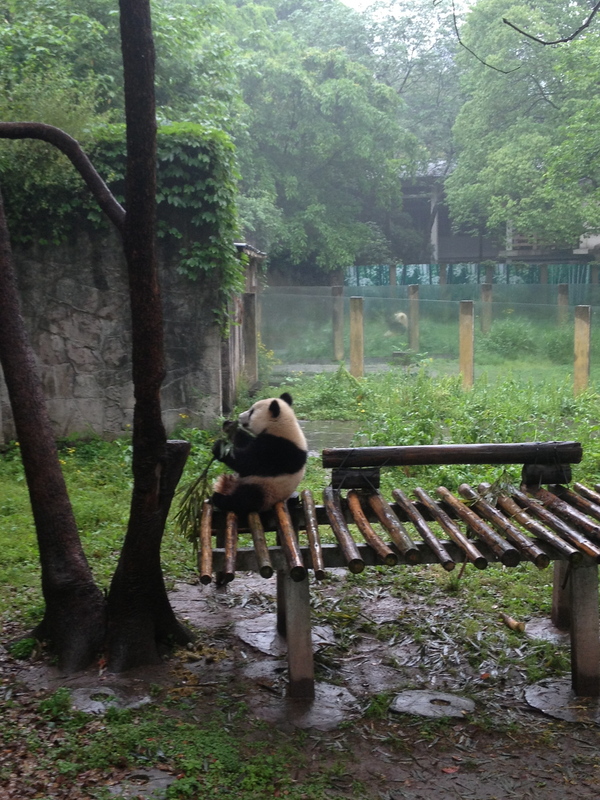 Chongqing is considered one of the best places to see pandas in China. The panda research center is not far away in Chengdu. This quick stop turned out to be very worthwhile, as the zoo had a young panda who was quite entertaining. We had seen pandas before, at the National Zoo in D.C., and they don’t do much except sit around eating bamboo. This youngster, on the other hand, was quite active, climbing up and down a tree and cavorting on a wooden platform. 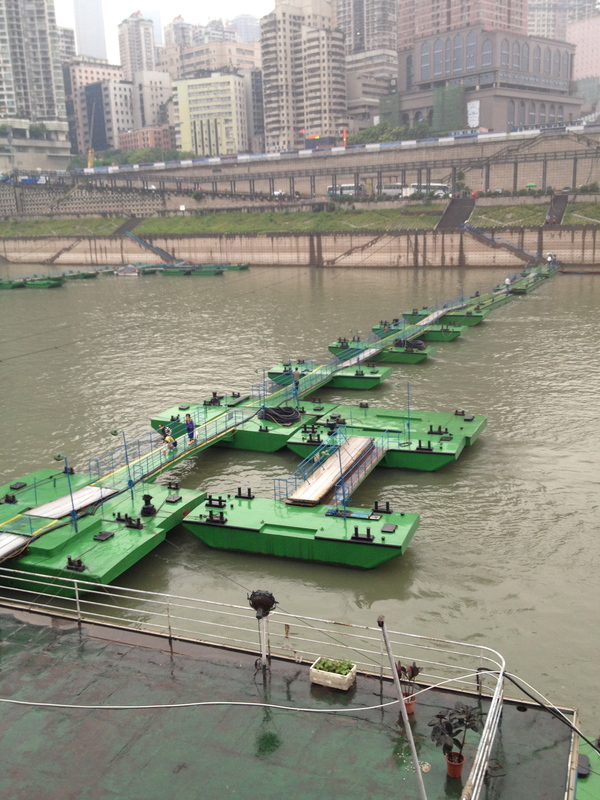 After the zoo, it was a short bus ride to the ship, the Viking Emerald, which was anchored on a tributary of the Yangtze. Everyone in our group was relieved to finally get on the boat and relax after the rigors of Tibet. We had one more hurdle to cross, however. 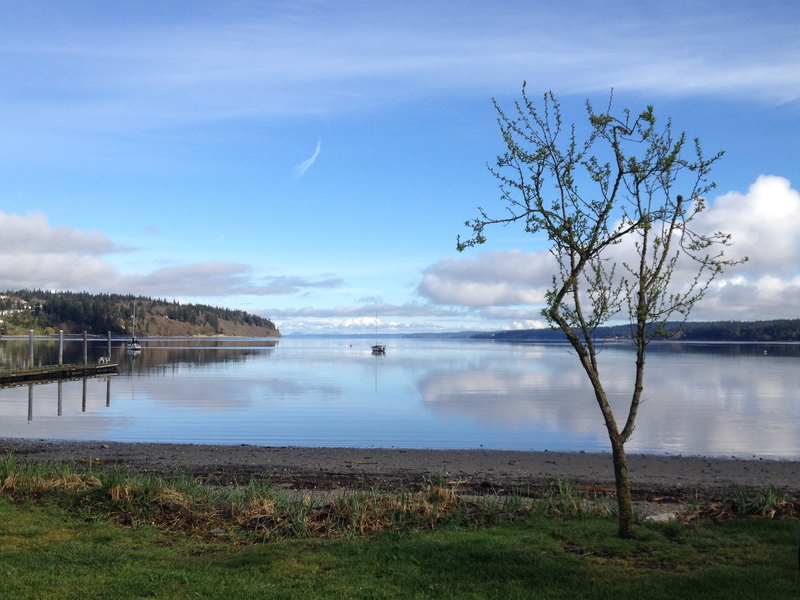 To get on the boat, we had to go down some concrete steps and across a long dock. A number of porters were volunteering to carry our bags to the boat on wooden poles. Robin and I were not interested in their services, but they kept pestering us even after we said no several times. Finally, we made it across the dock and onto the boat. 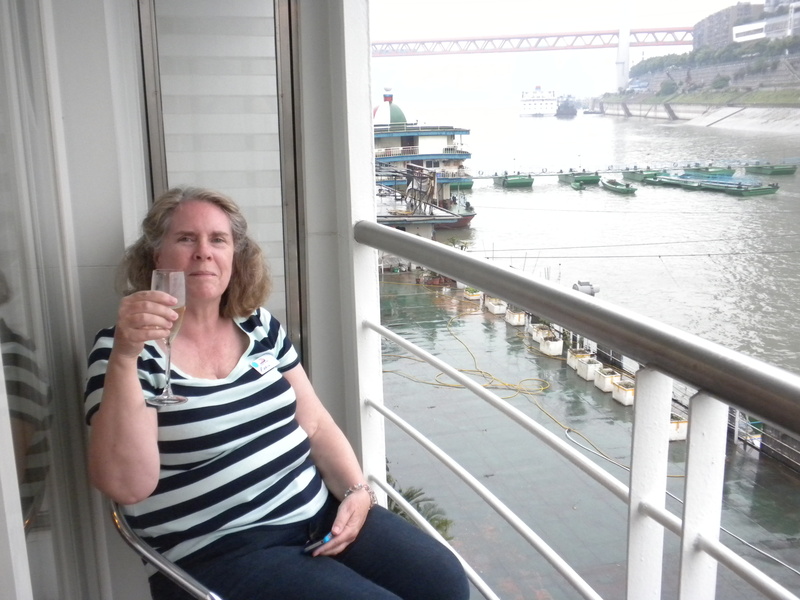 We went immediately to our cabin, where we found a bottle of South African champagne and two glasses. 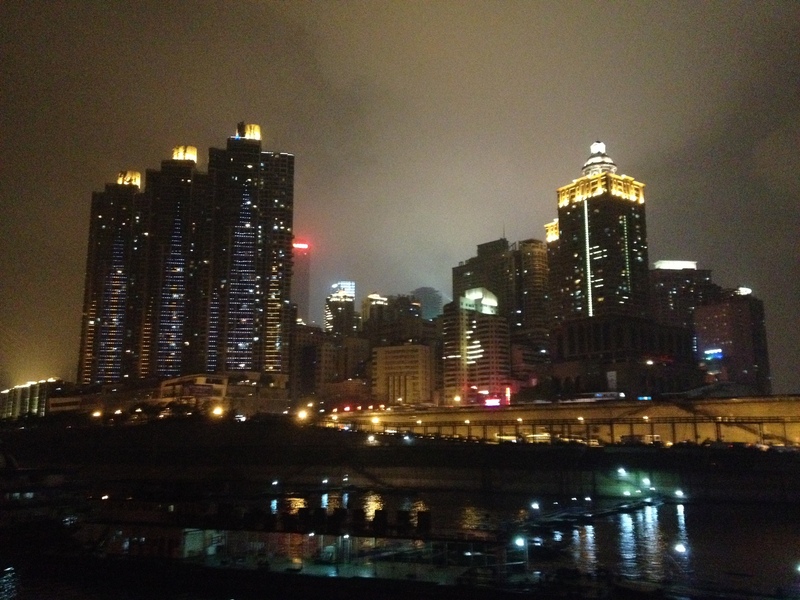 We sat on our veranda sipping champagne and watching the lights of Chongqing. Then we had dinner (not Chinese) and went to bed early. The ship set sail at about 9 p.m., and we lay in bed and watched the lights glide by until we fell asleep.